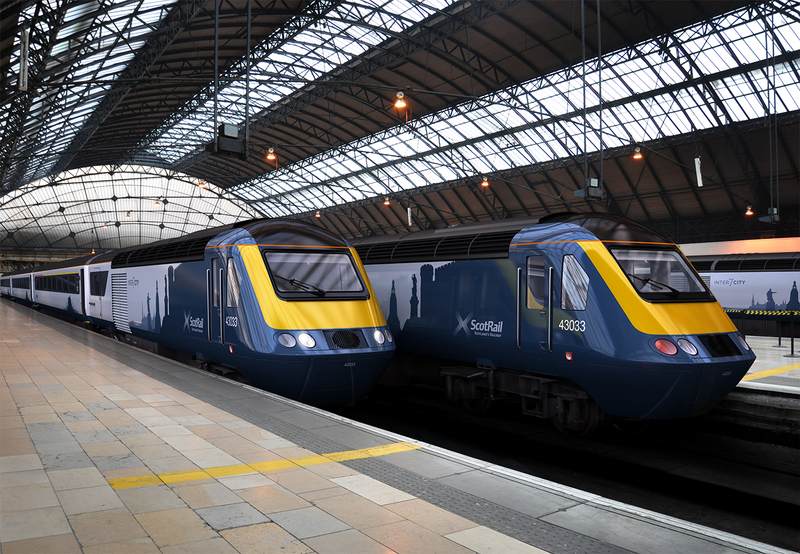 DGDESIGN is supporting Abellio ScotRail’s introduction of refurbished HST Mk3 rolling stock aimed at providing improved services between Scotland’s seven major cities. 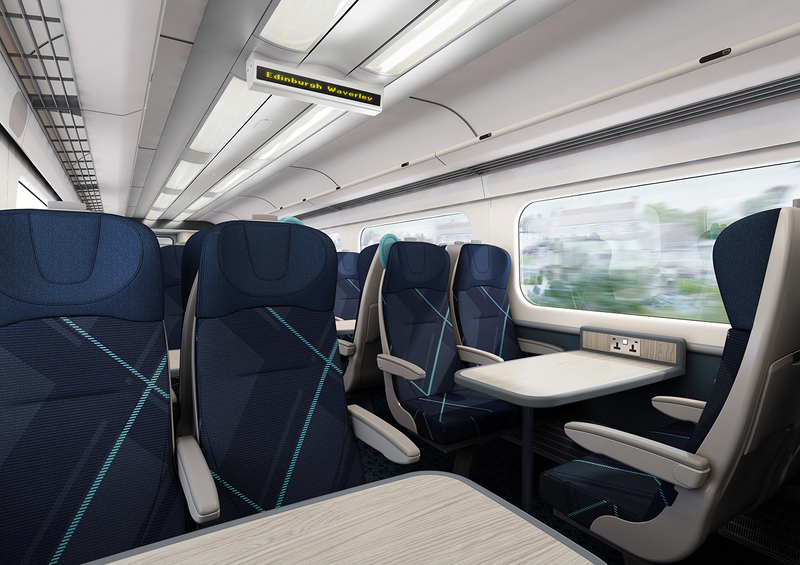 The trains will provide more seats, faster services and an enhanced passenger experience. DGDESIGN has created a new brand identity for the HST service, developing the exterior livery and interior colour palette & finishes. 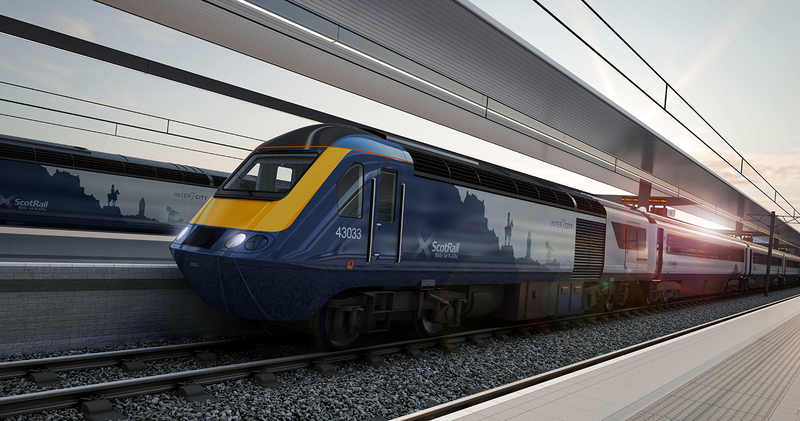 The livery features iconic landmarks representing the seven major cities served, reinforcing its inter-city credentials. 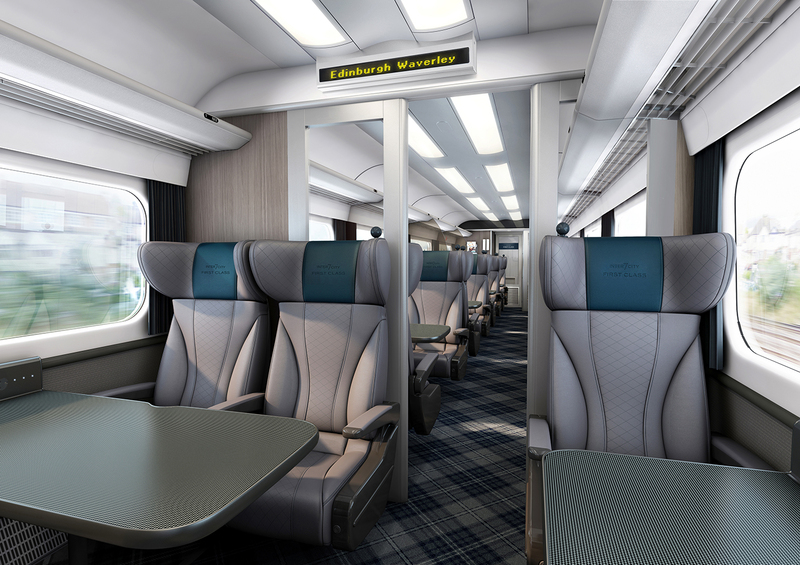 Where possible on the interior refit, an attempt has been made to create a relaxed, intercity mood with a more natural, sophisticated palette than that used on regional ScotRail services.